The guys from PhotographyPla.net have had a few super deals in the past that you just loved. But now we’re talking about a brand-new collection of 200+ wonderful actions separated into 14 different sets, including: HDR, cinema, vintage actions, black & white, soft and light actions and many others! Each one of these actions are non-destructive and they leave the initial photo unharmed. Which means you can simply revert back to the original photo if you’re not satisfied with the final results. Alternatively you can edit the layers and modifications to get that perfect look! And don’t be concerned if you’ve never done this before. Each set includes a very handy documentation regarding how to install, use and edit these actions! They’re perfect if you wish to add a beautiful effect to an image in a couple of seconds! And only for a limited time you can get all these 200+ actions for an unbelievably low price of only $17! We all like vector illustrations. They’re extremely versatile and can be a life saver in times of need. You can use them in basically any design – from backgrounds to flyers, package designs, as well as huge banners. The best of this is that they’re extremely helpful for both beginners and professionals! One of the best times to use illustrations is before winter holidays. For all of us, the designers, it is really an extremely demanding period of time, and when we’re overwhelmed by different projects with impossible deadlines. That’s why we wanted to help you out a bit and came up with the ultimate collection of winter holidays vector illustrations! 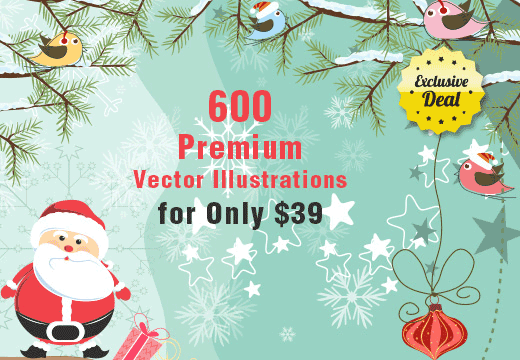 The fellows from Vectorious were kind enough to give us a humongous collection of 600 top-quality illustrations that you will definitely love. These illustrations are split into 4 different sets: Christmas illustrations, Christmas typography, Diwali and Happy New Year. Being 100% vectors it is simple to edit them; add or remove elements, change colors, cut, crop or resize them just as much as you want without the loss in quality! You will find unlimited possibilities of utilizing these illustrations just by combining them between each other. And due to their extended royalty license, they can be used in an unlimited number of personal and commercial purposes as well as in merchandise intended for mass distribution with no additional fee! Only $39 instead of their usual value of $2400! That’s as low as $0.06 per illustration! And if you’re not satisfied with this collection, you get a 200% money-back guarantee. This means you get all your money back and keep the files! If you use the coupon code INKY2013 during the checkout you get a $5 discount, so you can purchase this package for just $34. Take a look at what you get. WordPress/WooCommerce made up almost half of the votes (48.02%). 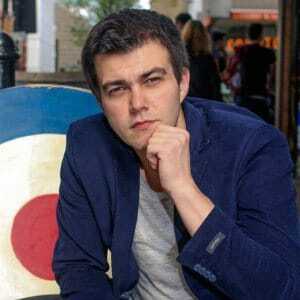 OpenCart and Magento had almost equal shares in one quarter of the votes (12.78% and 12.33%). PrestaShop won 8.30% of the votes. 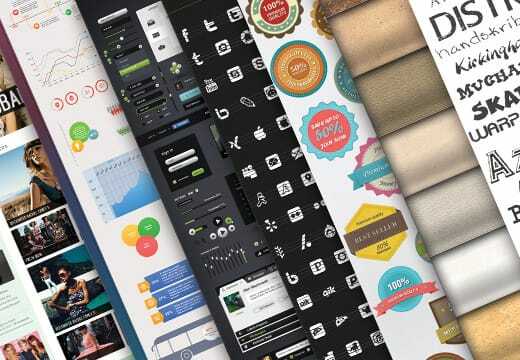 After the results, they packed a bundle of 4 website themes worth $240. 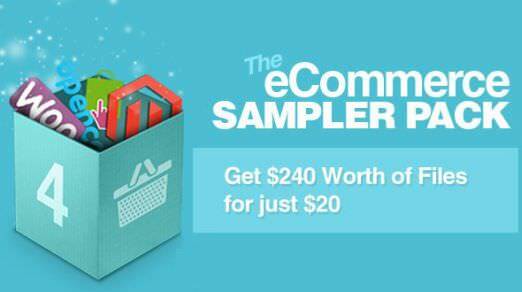 You can get all 4 for just $20 only until 3rd of December AEDT. Not into bundles? Buy custom code and plugins for WordPress eCommerce, Magento, Prestashop or OpenCart on CodeCanyon. More than ever before, the user experience is very important to a website or application’s success. With so much incredible competition around, you need an exciting interface to catch users’ attentions and a smooth UX to keep them. Therefore, wireframes and project mockups are the initial step towards building your project. Give yourself a good head start on your wireframes or visual mockups by using this incredible Web & Responsive Design Kit from Vandelay Premier. 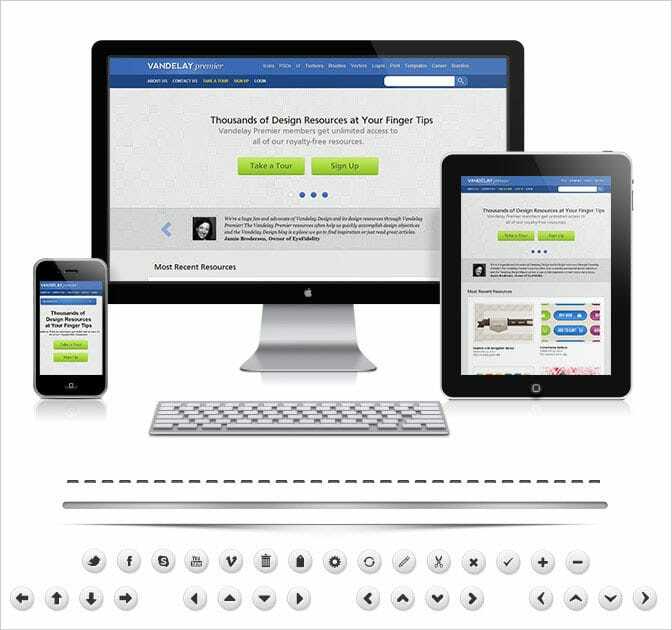 It’s the complete package for web designers too. Sure, you will get more than 400 different UI elements, but you’ll also get a couple of Responsive Design PSD files to see how your work appears on any device or screen size, and a number of templates to help you put together invoices and contracts. This kit consists of all you need to get your UI project started (and finished), and for a limited time only, you can get almost 60% off the regular price thanks to Mighty Deals! 400+ Professional UI Elements – Buttons, Nav Bars, and Forms, Oh My! With over 400 UI elements available, there’s no doubt you’ll find just what you need to put together the best graphical user interface using the Wireframe Pro bundle. This kit contains elements of design for a large number of different actions including buttons, navigation menus, ribbons, media player elements, shadows, pagination, ratings, forms far more! Inky’s back with another design bundle, this time dedicated to web site designers and developers from all over the world. Maybe you noticed lately a few web design deals here and there. Inky’s branching out to offer you a full range of premium products designed for any creative professional. And what better way to start than through one of his famous bundles? At no cost! Inky partnered with some of his well-known friends from the community and made a web design bundle loaded with 471 premium resources – many of which can be obtained exclusively on Inky Deals.